We have a new YouTube channel! Subscribe now for even more great videos. For even more helpful videos subscribe to our new channel on youtube. Our mission is to provide women in the Central Florida area and beyond with high quality, up-to-date breastfeeding education and support that is based on scientific and experiential knowledge. Envision Physical Therapy’s purpose is to create a continual educational environment for their employees and clients by empowering those they touch to envision and achieve absolute health. 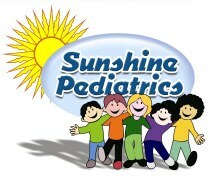 We offer Physical Therapy, Sports Medicine, Pediatric Therapy, Auto Accident Rehab, Massage, and Skincare Services. Crystal Fedele, Dawn Share, and our practice partners, are passionate about the healing power of holistic and natural medicine. These leading practitioners offer you a one stop Health Center for all your healing and vibrant-life needs. We provide Acupuncture and Chinese Herbal Medicine for Fertility, Menstrual Disorders, Pregnancy and Birth. Hypnotherapy for Childbirth and Childbirth Education and more. International Cesarean Awareness Network is a nonprofit organization whose mission is to improve maternal-child health by preventing unnecessary cesareans through education, providing support for cesarean recovery and promoting vaginal birth after cesarean. babies, and families during the prenatal, birth and postpartum periods. Life Counseling Solutions is a therapy group for pregnant & postpartum mothers focused on your needs. A place to connect and talk about your experiences as a mother with stress, adjustment to being a new parent, anxiety, depression, lack of sleep, feelings of loneliness and more. Erin is an on location natural light photographer serving the Orlando area. She specializes in children and families and has attended many births as a birth photographer. 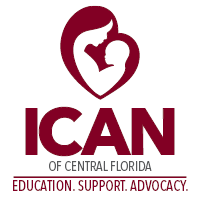 Erin specializes in birth photography and is honored to volunteer with various birth related charities and events including ICAN’s Central Florida Mom Prom and Now I Lay Me Down To Sleep .